Hi AMW friends! I am so excited to share a review on Pixi By Petra's Mineral palette. I have been reaching out for this palette for quite some time because it gives such a natural effect and I do get compliments each time I use this palette! Oh, I will also follow up with a full face tutorial (as requested by you guys based from my photos taken on Instagram account @AskMeWhats). As stated, this makeup look is my favorite nowadays and I can't wait to share how easy it is to achieve such look! The palette looks like this! Reminds me so much of a chocolate bar! Rich Gold consists of mostly neutral earth tone shades. Handy palette and you see the shades immediately. Pigmentation isn't bad considering the price range. Perfect for beginners as the effect is natural. The free duo brush is actually use-able! Fool-proof shades, you can combine any of the shades and the result will always be natural and nice! Considering this as a mineral eyeshadow, it never crumble after several uses. If you are used to having a mix of different finishes in a palette, you don't get that here. I wisht hey have at least 1 matte shade included in this palette. Not a biggie for me but the shades don't have names! Only 2 palettes available as compared to more on international sites. A mineral eyeshadow palette that is perfect to enhance natural beauty on any skin tone (referring to the shade Rich Gold). Pigmentation is okay (light to medium), can be layered on top of each other and the effect will always be natural. The only downside? I wish they included at least 1 matte shade just for blending or highlighting. 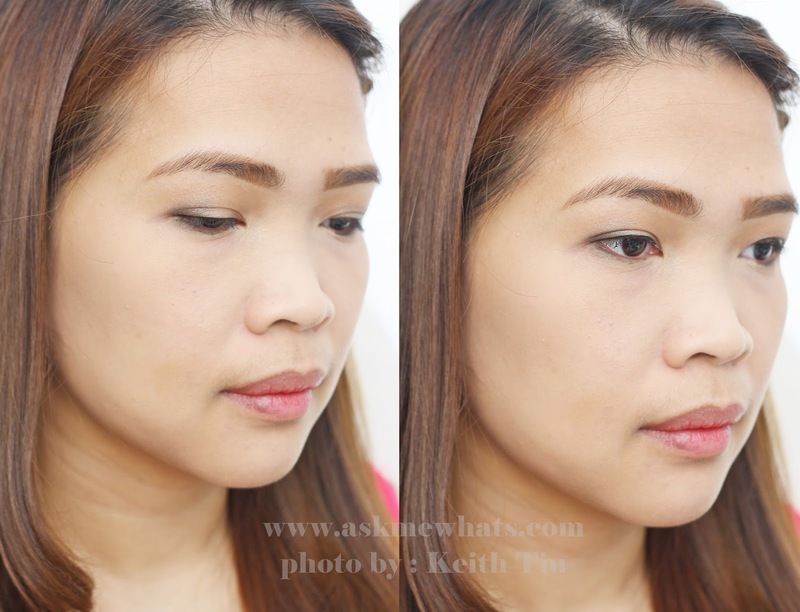 Use the Duo Applicator with patting motion if you want heavier pigmentation. If you like the effect to be "dreamy" and natural, use an eyeshadow brush. A smaller eyeshadow brush will be used for more definition, use a bigger eyeshadow brush for blending. If you have extremely oil lids, use a primer to keep the shadow longer. Check out my Photo-torial below. No, this will last me for quite some time and I have enough of these neutral shades. Daily eyeshadow wearers or girls who are just starting out on eyeshadow application! In a glance, you get 6 shimmery neutral shades. Now, there are so many ways to use this eyeshadow palette and I am sharing just one of the many ways I would apply! Using a big fluffy eyeshadow brush, I picked a bit of cool, light brown shade with a hint of gold. This is my to-go-to shade to deepen my crease. Using a pencil brush or any smaller eyeshadow brush to grab more pigments, I mixed Greenish-Gray and Moss Green shades (the 2 darkest shades in this palette) to create a unique shade. Apply this on the outer-v. Since I'm aiming for barely there eye makeup, I keep the application close to the lashline. Blend the remaining dark shadow shades on the lower lashline. Using the big fluffy eyeshadow brush, blend everything together until harsh lines disappear. With the doe foot applicator, pick the lightest shadow shade and use as a "highlighter". With dabbing motion, I apply some on the center of the lid, the inner corner of the eyes and lower lash line. Voila! 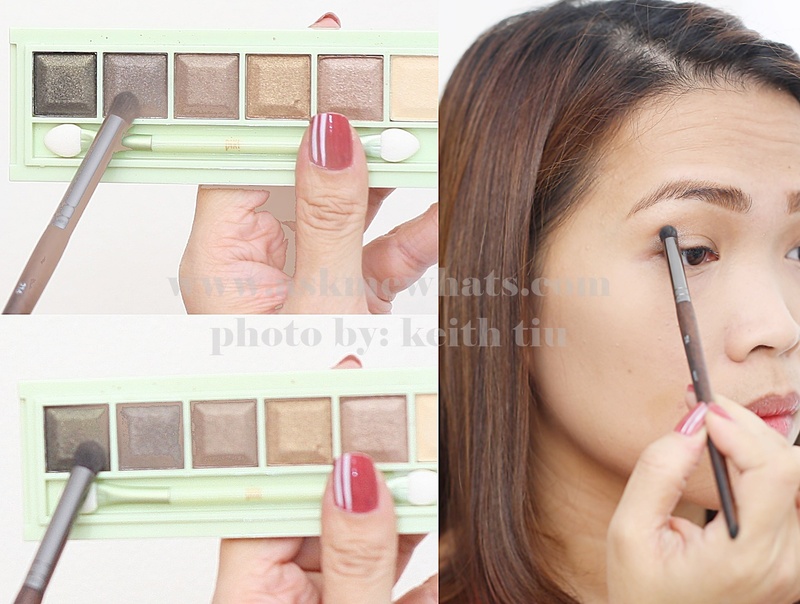 A barely there eye makeup that defines your eyes in the most natural way possible! Are you excited for a full fresh-faced makeup tutorial coming up within the week? Share to me your favorite neutral palette as of the moment! I love this palette! Very neutral. I agree! I love neutral palettes too! I like to wear toned down makeup!